MSLGroup and Weber Shandwick were the two most recent signees to Wikipedia's compliance framework for PR professionals as of Friday morning. NEW YORK: MSLGroup and Weber Shandwick were the two most recent signees to Wikipedia’s compliance framework for PR professionals as of Friday morning. "We fully support the efforts around the communications industry to encourage compliance and best practices with Wikipedia according to their policies and guidelines," said Weber Shandwick CEO Andy Polansky, via email. "At Weber Shandwick, this has been our long-standing standard operating procedure, and we’re glad to see a united effort and commitment to ensure this is an industry standard going forward." The statement was drafted after a months-long dispute between the Wikimedia Foundation, the group that runs Wikipedia, and Wiki-PR, an agency whose primary service is editing Wikipedia pages. The Foundation sent the firm a cease-and-desist letter in November after it allegedly failed to comply with Wikipedia's terms and conditions by engaging in paid advocacy editing. The guidelines stipulate that participating firms must commit to better understanding the fundamental principles guiding Wikipedia and other Wikimedia projects; act in accordance with the site’s policies and guidelines; and abide by the Wikimedia Foundation‘s terms of service. The first group of firms to agree to the guidelines included Beutler Ink, Ogilvy & Mather, FleishmanHillard, Peppercomm, Burson-Marsteller, Ketchum, Porter Novelli, Voce Communications, Edelman, Allison+Partners, Lawson Mulvihill, and CorporateM. Glover Park Group added its name shortly thereafter, as did holding company MDC Partners on Wednesday. The Council of Public Relations Firms, the Institute for Public Relations, and the Chartered Institute of Public Relations have also added their support. A number of the largest PR firms are absent from the list of participants. Jeff Beringer, EVP and global practice leader for digital at Golin, said his firm believes it is a "fine statement of intent," but the agency is already committed to transparent, ethical communications. Before adding its signature, Golin wants to make sure there is something "more valuable" to the statement, he said. "Pledges are fine, but often times they are self-serving for agencies; [Golin is] more focused on its employees and getting them trained so they can serve clients better," said Beringer. "That is why we haven’t spent as much time on this as some of the other agencies that have signed this pledge." Golin has a training requirement in place for every employee, which touches on the issue of transparent communications on specific channels, including, but not limited to, Wikipedia, he added. Beringer noted that another concern he has about the statement is that the central issue of transparency is bigger than just Wikipedia; it applies across many modes of communication. "I hope, as an industry, that the commitment to transparency doesn’t start and stop with a short statement of intent," he added. "I want to see how or if this effort really materializes. A statement won’t change the way people do their jobs day in and day out; the devil is in the details." Other firms are still in the process of reviewing the statement before confirming their participation, including Ruder Finn, according to a representative from the firm. 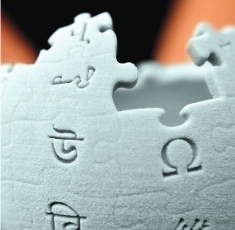 Will PR agencies back up their Wikipedia pledges with action?